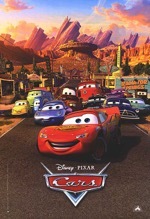 The first Cars (2006) won over audiences with its charm, palpable nostalgia and pulse-pounding action. Cars appropriated the talking toys concept from Toy Story (1995) and built an entire world out of vehicles, including: semi trucks, helicopters, buttes that resemble vintage cars, tiny VW Bug flies and cow tractors (who could forget the “tractor tipping” scene?). 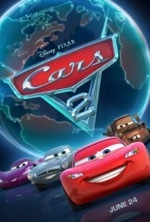 The sequel, Cars 2 (2011), was an ambitious but ultimately disappointing effort that took the action overseas to Europe and featured a story that was overstuffed with the exploits of superspy Finn McMissile (Michael Caine) and an international scheme to rid the world of old or lemon cars—a subplot that was a little too on the bumper. Fortunately, the franchise is once again in pole position thanks to writer/director Brian Fee’s high octane and heartwarming story, which has returned the series to what made it such an enjoyable romp to begin with…meaningful themes couched in good old-fashioned fun. 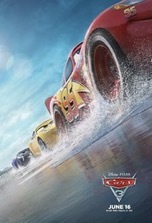 Lightning McQueen’s (Owen Wilson) career has come full circle: in the first film he was a self-centered rookie, but now the veteran racer is one loss away from forced retirement, which will doom him to pitching mud flaps for the rest of his rusty existence. When McQueen suffers a catastrophic accident, his future in the sport is placed in serious jeopardy. This tragedy recalls Doc Hudson’s (Paul Newman) similar career ending crash in the original Cars. How McQueen reacts to his situation will determine his fate: will he retire, as Doc did, or will he get back into shape and acquire the eye of the tiger? Yes, that was a Rocky reference. And yes, Cars 3 is replete with Rocky allusions, like the beach race between trainer and trainee as seen in Rocky III (1982). Also, there’s a conspicuous evocation of Rocky IV (1985) in the way upstart rookie Jackson Storm (Armie Hammer) uses the latest virtual technology to train while McQueen, under the tutelage of Doc’s former trainer Smokey (Chris Cooper), gets back to the basics by driving on dirt tracks and practicing “sneak through the window” agility tests, which require him to weave in and out of a herd of meandering cow tractors on a highway. Fortunately, this subplot is skillfully and judiciously woven into the narrative so as to avoid being a blatant rip-off of Rocky. Another carefully measured story element is McQueen’s yellow training car Cruz Ramirez (Cristela Alonzo). Even though Cruz, the only female lead (Bonnie Hunt’s Sally only appears when McQueen needs a pep talk or swift kick in the fender), isn’t introduced until about halfway through the film, she has the most compelling story arc. Insidiously, Pixar tricks us into thinking the movie’s main character is McQueen when it’s really Cruz. Did I say insidious? I meant ingenious. 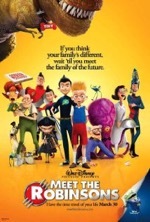 While most of the characters from the earlier films have bit parts here, there are a few new side characters worth mentioning, including: Nathan Fillion as duplicitous tycoon Sterling, Kerry Washington as overconfident sports commentator Natalie Certain and Lea DeLaria as terrifying, bull-like school bus Miss Fritter. Aside from all of its kid-friendly silliness, i.e., the demolition derby at the Thunder Hollow speedway, there’s also plenty here for adults, particularly for those who have entered middle age or have felt the sting of being replaced by a young, ambitious hotshot at work. On the bright side, this film is a beautiful example of how a torch passed from generation to generation (Smokey to Doc to McQueen to Cruz) can pave the way to a lasting legacy far more lustrous than a showcase full of Piston Cup trophies. It’s like the “circle of life” with cars and trucks instead of lions and warthogs. So where does the series go from here? Can one-note Mater (Larry the Cable Guy) and a doting McQueen sustain another movie? Is it time to turn things over to Cruz and a younger generation of race cars (which will inspire a whole new line of toy cars for kids to blow their allowance money on)? Regardless of whether it takes another lap or makes a permanent pit stop, the Cars series has been one wild ride. The animated short #Piper is equal parts cute and brilliant. “I suffer from short term memory loss.” Admitting it is the first step. “What if I forget you?” One minute in and I’m already tearing up. Is that #VWBug on the ocean floor #Herbie? “I’m okay with crazy.” Dory’s been there and back a few times. “No memories no problems.” But no meaning either. “Follow the shells.” An underwater version of Follow the Yellow Brick Road. “Your orange friends are on their way to Cleveland.” They must be #Browns. All shells lead to home. “There are no walls in the ocean.” #FreeWilly moment. 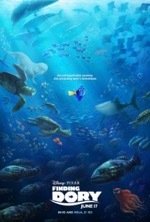 “The best things happen by chance.” Dory’s guiding philosophy. “Unforgettable.” Just like the movie. Final analysis: just as enjoyable as the first film but for completely different reasons. Rating: 3 out of 4. Though not as mesmerizing as the #FindingNemo, #Dory has even more heart. 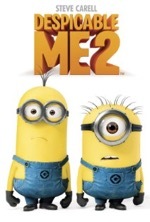 Superb sequel. During the twenty-one years since Pixar released its first animated feature, Toy Story (1995), the animation studio has cranked out one hit after the next in an unparalleled feat of commercial and creative dominance. 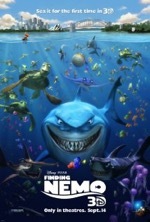 The studio’s highest grossing film (adjusted for inflation) is Finding Nemo (2003); the film was directed by Andrew Stanton and featured the voice talents of Albert Brooks and Ellen DeGeneres. That formidable team has reunited in the sequel, Finding Dory, which has been thirteen years in the making. So let’s address the nagging question in everyone’s mind: is Dory as good as Nemo? Short answer…no. In some ways such a comparison is unfair since one of the main objectives in producing the first film was to prove that underwater (the most difficult of all environments to animate) sequences could be done, and done well, with CGI. The vibrant colors, virtual encyclopedia of fish species and gorgeous photo-realistic underwater environments made for an immersive viewing experience nearly unparalleled in cinema history (Nemo stands as the finest 3D film that isn’t). Whereas, the animation in Dory is still exceptional, the palette isn’t nearly as expansive, nor does it need to be since it’s a more intimate lost-and-found tale. So where did Dory go wrong? Unfortunately, it took a page out of parent company Disney’s book and followed the formula established in last year’s Star Wars: Episode VII—The Force Awakens, a virtual rewrite of Star Wars (1977), with a dash of Empire (1980) and Jedi (1983) thrown in for good measure. Likewise, Dory is a virtual reworking of Nemo, but in reverse: clown fish Marlin (Brooks) and son Nemo (Hayden Rolence) are searching for missing Dory (DeGeneres) who, in turn, is searching for her parents Charlie (Eugene Levy) and Jenny (Diane Keaton). Many characters from Nemo appear here, like manta ray school teacher Mr. Ray (Bob Peterson) and laid back turtle Crush (Stanton), and show up in sequences that are so similar to the ones in the original film they may cause feelings of déjà vu. This sameness is this film’s Achilles’ heel and recalls the foisted, perfunctory Radiator Springs scenes in Cars 2 (2011), which, despite offering ample contextualization and that warm fuzzy feeling of nostalgia, ultimately created boredom from familiarity. Fortunately, most of Dory’s story redundancies take place early in the film. Some of the passages near the middle of the movie, like Marlin and Nemo’s various pratfalls as they make their way through the Marine Life Institute in search of Dory, are a tad pedestrian—even by animated movie standards—and just feel like filler until the movie’s two major reunions take place. 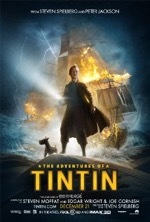 But all is not lost as there are many things that recommend this film as a worthy follow-up to Nemo. Many of the new characters are welcome additions to the aquatic menagerie, particularly: Hank the curmudgeonly octopus (Ed O’Neill), Destiny the myopic whale shark (Kaitlin Olson), Bailey the concussed beluga whale (Ty Burrell) and Fluke the territorial sea lion (Idris Elba). The action-packed climax, where Dory and friends must rescue Marlin and Nemo from a Cleveland-bound semi truck is uproariously funny and recalls the frenetic action in the similarly-themed airport rescue at the end of Toy Story 2 (1999). 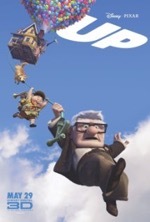 Of course, as has become standard in Pixar movies, Dory contains plenty of hard-hitting emotional scenes, which, like the opening moments of Up (2009), will have grown men (like this one) tearing up all over the theater. Indeed, has there ever been a more pathos-inducing animated character than a tiny fish with short-term memory problems alone and lost in a gigantic ocean? The scene where tiny Dory, with her cute, quavering little voice, frets over forgetting her parents is absolutely heart-rending. The implications of this scene won’t be lost on parents of special needs children or on adults grappling with memory loss in their aging parents. However, there’s an even broader message here about the nature of memories and how vital they are in shaping our identity and reality. Deep subject matter for an animated film, but this is just proof positive that Pixar films are really made for adults, with just enough action and humor to keep the kiddies interested. In the final analysis, Nemo may be the finer film, but Dory has more heart. The sequel is truly A-Dory-ble! Here’s a thought to ponder: if the next film in the series takes another thirteen years to produce, the storyline may feature Nemo and Dory searching for Nemo’s dementia-stricken father in Finding Marlin. Poor taste since I’m writing this review on Father’s Day? A high bar, to be sure, but this is certainly among the very best. At first I was dubious as to where this cartoon was going, because of the singsong nature of its narrative, but in the end this is a memorable, heartwarming short. Joy meets Sadness. Don’t see them becoming friends. Sometimes I’m just dead wrong. This concept is utterly fascinating and illustrates the importance of the major events and experiences in our lives and how they can shape who we are…positively and negatively. It’s always difficult to start over in a new area, especially if it’s radically different from what you’re used to. The movie ably captures the feelings of uncertainty, loneliness and loss that can occur during these times of transition. A really funny scene, made even funnier by Anger’s brusqueness. Even though it’s a little tongue-in-cheek, this is a fun concept. “Can I say the curse word now?” Ha! 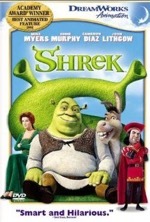 Ironic that anger is often the movie’s primary source of comic relief. Dad’s #BrainOnHockey scene is frighteningly accurate. And utterly hilarious! Zoning out while watching sports is an innate ability possessed by most men. Some men have even perfected it into an art. A very clever scene with some mind-blowing animation. I think they just wanted to see if the audience was paying attention. Paying attention. “Take her to the moon for me.” Bing Bong’s sacrifice is moving beyond words. Grab the tissue box…this is a rough scene. You just knew it would happen this way. A predictable, yet satisfying, ending all at the same time. Hooray for the underdogs! Final analysis: an absolutely brilliant premise that’s executed to near perfection. In fact, I honestly feel this is the most ingenious concept Pixar’s ever devised…and that’s really saying something. Rating: 3 1/2 out of 4 stars. 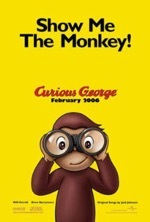 A thought-provoking, tender years tale that hits all of the right emotional notes. 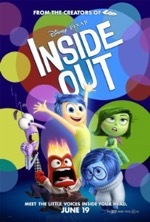 Ever looked at someone and wondered, “What’s going through their mind right now?” The creative minds at Pixar Studios took that thought and turned it into an animated feature called Inside Out. The movie focuses on a young girl named Riley and her emotional and mental processes as she deals with a cross-country move from Minnesota to San Francisco. Instead of merely showing us Riley’s emotional struggles externally, director Pete Docter (Up) gives us a glimpse into the girl’s mind in order to observe, firsthand, the full spectrum of feelings she experiences. Riley’s individual emotions are personified by Joy, Sadness, Anger and others. Each of the emotions has a matching personality, i.e. : Joy is infectiously ebullient; Anger is violently explosive, etc. It’s been noted by some leading doctors and psychiatrists that the brain is the executive control center of the entire body. Pixar artists have cannily appropriated that factoid for their story by creating a central control panel inside Riley’s brain…the main operations center where the assorted emotions call the shots for Riley’s every thought, mood and behavior. But Riley isn’t merely an automaton, or a marionette whose strings are pulled by the tiny characters inside her brain. What’s really fascinating about the story is that Riley has volition apart from her own emotions, which is true-to-life since cogitations and cold hard logic can occasionally win out over emotions. The fact that Riley’s choices can override what’s going on inside her brain infuses the story with a great deal of anxiety and mystery since we, along with Riley’s emotions, often have no idea of what’s coming next. In these instances, Riley’s emotions must react to an unforeseen event, like when a life experience creates a core memory. The reverse also holds true as Riley is often deeply affected by her emotions and seems utterly powerless to regulate them. Some of the best twists in the movie occur when our young heroine is overcome by a particular emotion, like when Sadness does a number on Riley during her first day at the new school. 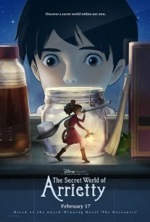 This story device, where the action intercuts between Riley’s brain and what’s happening in the real world, generates tension throughout the film and effectively illustrates the disconnect between thoughts and feelings that we each must learn to reconcile. The world Pixar creates to represent the inside of Riley’s brain is truly astounding. The architecture of the mind is based on real science but is organized and visualized in a manner that reflects the thought process of an 11-year-old girl. The different sections of Riley’s personality, as well as the way memories are created, stored and discarded are brilliantly conceived and flawlessly executed. 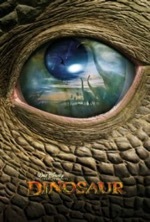 But not everything in the film is based on real world science. Some story elements, like the Train of Thought, are just there for fun. 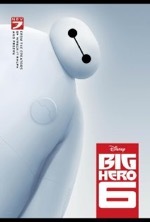 This film, which reveals a great deal about the human condition by examining the thoughts and feelings of an angst-ridden preteen girl, will go down as one of Pixar’s finest…which is no small claim when considering the studio’s back catalog of superlative animated films. Inside delivers an emotional wallop that’s rivaled only by the end of WALL-E (2008) and the beginning of Up (2009). The abounding movie magic contained within its narrative, along with its clever conceit, touching story and universal appeal, has insured that Inside will be enjoyed for generations to come. 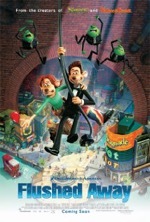 This 15th Pixar film has it all and is a shoo-in for Best Animated Feature and, perhaps, even for Oscar’s top prize. For a movie that’s all about the brain, Inside Out has a tremendous amount of heart. Dragon race has a literal black sheep. Doesn’t this competition remind you of a Quidditch match, only with dragons subbing in for brooms? Free falling sequence is breathtaking. A new page for the map, an encounter with some unsavory trappers and rumors of war. A tad platitudinous, but essentially true. Dragon aviary is a spectacular visual. The swarm of dragons, comprised of a myriad shapes, sizes and colors, is easily the visual highlight of the film. 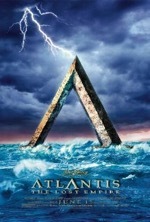 The alphas lock tusks...the battle of the leviathans. Doesn’t this scene look like it belongs in Pacific Rim or a Godzilla movie, though? Toothless flies blind. A matter of trust. This sequence presents a nitpick, however. Is the Alpha’s mind control only effective when visual contact is established? The eye gate should be irrelevant if the Alpha is engaging in true mind control and not just some hypnotic suggestion. Too technical for a kids movie? Probably. Final analysis: a logical extension of the first film with many new dragons and a new villain. And some truly dynamic family moments that serve as the heart of the film. However, the sudden entrance of one family member and the rapid departure of another are extremely contrived narrative choices. However, the premise takes too long to materialize and the story lacks the magic of the original. The teen angst angle worked like a charm in the first film, but Hiccup has finally come into his own here, making him a far less compelling character in this movie. Rating: 2 1/2 out of 4. Don’t be surprised if Toothless finds a mate in the sequel. Too obvious. As sequels go this certainly isn’t a jeer-worthy entertainment, and yet it fails to measure up to the first film in several key areas. First of all, the writers expect us to remember all of the characters despite that fact that the original film was released four years ago. Except for the kids in the audience, who’ve seen the first film dozens of times on Blu-ray at home, a refresher as to who’s who would’ve been nice for the rest of us one-timers. 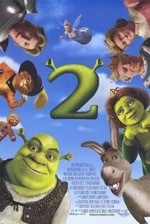 The main thing I missed in the sequel is the lore and mythology that enriched the first film. The writers, mistakenly, assume that we’re all experts on Viking customs and have the dragon bestiary memorized by now, but some new cultural tidbits to draw us into the milieu would’ve further enhanced this film. Also, a large part of the fun in the first film involved the training sessions for how to fight and ride various types of dragons. 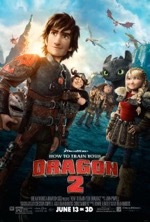 Everyone’s a proficient “pilot” in this movie, and only the bumpy flight on the dragon babies adds any kind of drama to the lives of these experienced dragon riders. 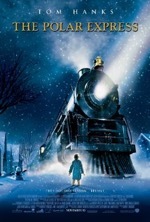 Lest we forget, the word “train” appears in the title, so the movie missed the mark by failing to tap into what worked in the first film. Though the CG animation is top shelf, some of the melees are staged and choreographed just like a LOTR film—the epic battle formula is getting old by now. 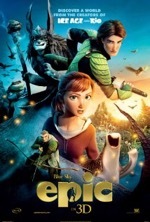 All in all, this is a spirited animated adventure that’s sure to thrill its target audience…if only the adults were equally serviced by this sophomore, and sometimes sophomoric, effort. Final thought: now that the main character has become a man and taken his father’s mantle, can we get a name change already? One thing that should never be uttered in the next movie is Chief Hiccup. Everything is already done for you…which some would say is the downfall of movies. LOTR style opening. A wizard recounts a prophecy...in rhyme. Everything is awesome...until Emmett tries following a woman into a construction site. Many men have rushed headlong into destruction while pursuing a woman, so it’s not just a Lego thing. Correction: Emmet. Wild Style and The Special land in the Old West. 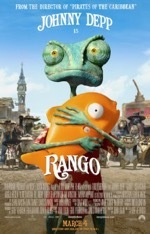 Nope, there’s no time for them to say howdy to Rango. Correction: Wyldstyle. The meeting of master builders is attended by many familiar figures, including the wizard Double Door. A really funny play on words. The assembly is chockfull of familiar faces from many different franchises. The double-decker couch actually serves a purpose. Batman hitches a ride on the Millennium Falcon. Funny scene. In what other movie can you find such a scene? The “They’re all guys” bit is a hoot. The Bat pun is humorous. The deadpan delivery by Will Arnett, who actually does a respectable job of voicing the Caped Crusader, is absolutely perfect. Will Farrell meets his alter ego. Results in a touching scene. Final analysis: some funny moments along with the pedestrian ones. A nice emotional payoff at the end. Rating: 2 1/2 out of 4 stars. Not hard to see this becoming a franchise with the myriad sets to choose from. 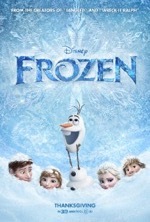 The animated films that tend to endure are those that work on two levels: cute and funny for the kids, witty and emotionally complex for adults. Pixar has long been the exemplar for how to simultaneously cater to kids and adults in the same movie, but other animation studios have gradually found their own way in achieving this multidimensional storytelling method. 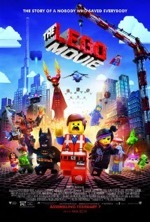 The Lego Movie does an excellent job of servicing the different generations in the audience with whip smart humor and pulse-pounding action sequences. Many of the “adult” jokes, some of which contain biting political commentary, will fly right over the heads of younger viewers. That’s okay, because there’s plenty for the youngsters to enjoy here, not the least of which is seeing many of their favorite heroes hanging out together on the big screen. 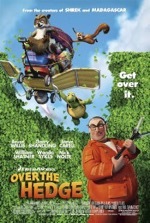 Characters from the Batman, Star Wars, Lord of the Rings and Harry Potter franchises all peacefully coexist in this mash-up mayhem, but a pair of original characters, Emmet (Chris Pratt) and Wyldstyle (Elizabeth Banks), drive the story’s action. And then there’s schizoid Good Cop/Bad Cop (Liam Neeson), who steals the show with his mercurial moods and vacillating voices. The voice cast is beyond stellar, including Morgan Freeman, Will Ferrell, Jonah Hill, Channing Tatum and Cobie Smulders, to name just a few. It’s an added treat to hear actors voicing their original characters like Billy Dee Williams as Lando and Anthony Daniels as C-3PO. The final ten minutes close out the movie with a heartwarming resolution, which, for this adult, tied things up with satisfactory emotional closure. There are myriad creative avenues for the writers to explore in the inevitable sequel. We’ll just have to wait and see what new adventure they come up with…or, if we don’t want to wait that long, we can create our own sequel with the Legos we have hidden in the shoebox in the corner of the closet. I won’t tell if you won’t. If they had extreme sports for mice, giant-eared Despereaux would own every record. Despereaux leaps through the air and steals a piece of cheese from a mouse trap without even breaking a sweat. His friends watch in amazement. None of them would ever attempt such a circus act…not even for fresh cheese. Despereaux fails to cower when his teacher shows him a picture of a cat. To make matters worse, he doesn’t recoil when he’s shown a picture of a needle. Filled with amazement, Despereaux reverently asks, “Is that a sword?” Despereaux’s teacher calls an emergency conference with his parents; something has to be done about the misfit mouse. Like many of us, Despereaux just isn’t quite normal. 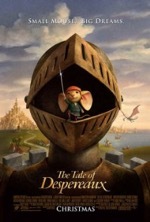 Based on the Newbery Award-winning children’s book of the same name by Kate DiCamillo, The Tale of Despereaux, judging from its marketing campaign, seemed poised to be the family film of the holiday season. 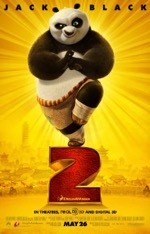 Armed with a built-in audience, one of the most adorable animated creatures to grace the big screen in years and a fairytale story brimming with adventure and romance, it’s inconceivable that such a sure-fire crowd-pleaser could be a disappointment. And yet it is. 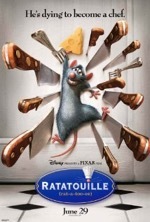 So what went wrong with Despereaux? Was it the selection of vocal talent? Definitely not! The movie boasts an impressive array of A-list luminaries, all of whom perfectly match the character they’re voicing. If you want to make great soup you need the right ingredients and any producer would kill to have names like Matthew Broderick, Dustin Hoffman, Emma Watson, Tracey Ullman, Kevin Klein, William H. Macy, Stanley Tucci, Ciaran Hinds, Robbie Coltrane, Frank Langella, Christopher Lloyd and Sigourney Weaver stirred into their story stock. Was it the animation? Doubtful. Although the film’s palette and aesthetic is measurably more earth-tone and moderate than most animated forays these days, Despereaux is beautifully drawn; one of the movie’s greatest advantages is that it doesn’t try to emulate Pixar’s plush look. My only gripes with the animation are that the humans look like they’ve had their heads pinched in a vise and that the underground scenes are far too drab, especially for the impressionable kiddies in the audience. Was it the story? Most likely. Will McRobb’s adaptation of DiCamillo’s story, though ambitious, resembles a ball of yarn that’s been pawed at and kicked around the room all day; you can discern the story’s overall core, but many plot strings lay strewn over the surface of the patchwork plot. The first major problem with the story is its perpetual POV shift between Despereaux (Broderick), rat-looking mouse Roscuro (Hoffman), Princess Pea (Watson) and the plump maid, Miggery Sow (Ullman). As the story bounces back and forth, it’s easy to loose the through line and difficult to discern an overarching theme or moral. Even though all of the plot threads eventually join to form a taut braid by the end, the main story—the tale of Dexperaux—is often subordinated by the movie’s riveting (Roscuro’s desperate attempts to break away from a hoard of nefarious rats), terrifying (the princess is kidnapped by the same rodent throng) and heartwarming (Miggery and her long-lost father are reunited) subplots. The biggest narrative failing is the persistent, heavy-handed narration that not only spells out everything in the story, but also tells us how we should feel about it. 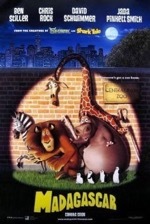 Sigourney Weaver’s melodious intonations fit well with the movie’s storybook mood, but the narrated segments impede the flow of the story; serving, in essence, as filmic speed bumps. The movie’s slow pacing is directly attributable to its excessive exposition, which comes from the desire to be as faithful to the source material as possible; an honorable intention yet detrimental inhibition where the plot is concerned. 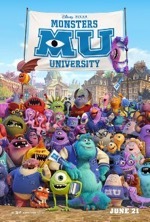 In the final analysis, the movie’s mixed results simply may be due to the fact that it wasn’t made by Pixar. However unfair that statement may be, The Tale of Despereaux is still an above average animated tale; and at the end of the day, most kids won’t discriminate too much over which studio produced it. 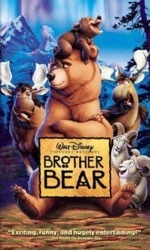 The movie deals with many themes such as standing up to evil, breaking the chains of hurt and extending forgiveness to others, but it doesn’t possess that one crystal-clear concept that drives home a movie’s message. Such streamlined storytelling catapulted each of the Pixar films into the A tier of animated films. Despereaux will have to settle for B tier status, but there are much worse fates…it might not be WALL-E, but at least it isn’t Fly Me to the Moon. In the final frontier, the good ship Enterprise is ever ready to respond to one intergalactic crisis or another and, conveniently, always seems to be the closest ship to a cosmic conflagration. Panning over to the galaxy far, far away, of all the Jedi Knights in the Old Republic—and there were myriad during the Clone War epoch—Obi-wan Kenobi and Anakin Skywalker always seem to be right in the middle of some uprising involving the Separatists and their droid armies, or engaging Count Dooku and his assassin apprentice Asajj Ventress in lightsaber duels, or avoiding the traps set by evil mastermind Chancellor Palpatine/Lord Sidious. 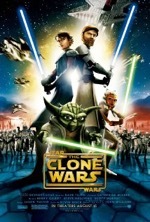 Indeed, at the outset of the first full-length animated feature in the Star Wars stable, simply titled The Clone Wars, diminutive, inverted-speaking Jedi Master Yoda affirms that among the teeming ranks of Jedi Knights only two Jedi are available to rescue Jabba the Hutt’s kidnapped son…you guessed it, Obi-wan and Anakin. To say that the film’s intro represents a catastrophic tremor in the Force for Wars fans is a galactic understatement. There’s no Fox fanfare (the movie is being distributed by Warner Bros.), no opening crawl of expository back-story and in place of the familiar, rousing score we’re served a bastardized version of John Williams’ legendary Main Title that goes down like flat 7up. From the outset, this new film feels like a cheaply made knockoff of creator George Lucas’ space saga rather than an official chapter. The movie opens with a futuristic news reel which focuses on the aftermath of Star Wars: Episode I and II (in case spectators missed the prequels and stumbled into the theater by accident). 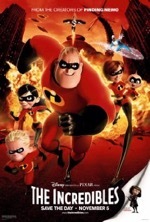 The first half hour is one continuous battle; essentially a cut and paste job of various action sequences from Episode II and the brilliant animated shorts by director Genndy Tartakovsky, as shown on the Cartoon Network between 2003 and 2005—an animated series based on this film, which serves as a pilot of sorts, will air on the same network this fall. During a break in the action, reinforcements arrive and we’re introduced to Anakin’s new Padawan, Ahsoka Tano (Ashley Eckstein); a plucky motor-mouth who’s a thorn in her master’s side just like Anakin was with Obi-wan. Ahsoka, who’s amusing for about fifteen minutes, becomes an obnoxious know-it-all by movie’s end. Still, the red-skinned youth is the only fresh element in the movie and her incessant bantering with Anakin is the movie’s only saving grace. 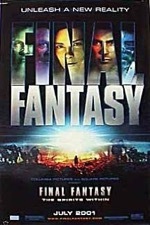 After the video game opening plays out, the second half of the film stumbles into something that resembles a story. Several of the subplots had the potential to develop into something substantive, namely the rescue of Jabba’s son, Kenobi’s lightsaber duel with Ventress, Anakin’s lightsaber confrontation with Dooku, Dooku’s plot to implicate the Jedi in the kidnapping of Jabba’s son and Amidala’s failed negotiations with Jabba’s uncle, Ziro the Hutt. Unfortunately, it’s all wasted effort because none of these narrative threads are given a chance to develop independently from melees, explosions and every other action element that fills twelve-year old boys with awe and excitement. The main problem here isn’t the insipid plot, stiff animation, beaten-to-death conventions, or playground dialog. It isn’t even the fact that the only original actors to lend their voices are Samuel L. Jackson as Mace Windu, Christopher Lee as Dooku and Anthony Daniels as C-3PO. The biggest drawback to The Clone Wars is that it’s little more than a publicity stunt. 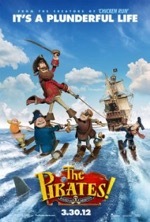 As the lead-in to the upcoming animated series, the movie feels like a glorified cartoon; and since each of the main subplots resolve right around the thirty minute mark, the movie can be cut into three episodes and rebroadcasted on TV with little effort. What sours the blue milk here is the knowledge that Lucas green-lit the project solely to promote the new series. Does Lucas even care if the movie makes a profit? It seems like he just wants exposure for the series, which is yet another sneaky way of marketing his brainchild…something he mastered long, long ago. The Clone Wars, however visually stimulating, is a dreadfully remedial tale that maneuvers the saga dangerously close to self parody. With two mediocre efforts turned in this summer (Indy IV), Lucas’ name on the street is about as good as M. Night Shyamalan’s. If Lucas isn’t careful, he’s going to alienate the remnant of die-hard fans; and when that happens, his fire will have gone out of the universe. All of a sudden, The Star Wars Holiday Special (1978) and the two Ewok TV movies don’t look so bad. 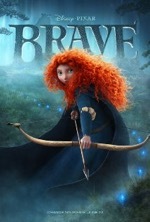 The latest feature film from Disney/Pixar may be an animated movie, but it certainly isn’t a kid’s movie. That’s not to say that kids won’t enjoy it or that it’s inappropriate for children, because that certainly isn’t the case. What I mean is that Pixar has delivered its most adult film to date; a hauntingly beautiful, elegantly whimsical and poignantly instructional CGI tour de force. WALL-E tells the story of the last “living thing” on earth (other than cockroaches, of course) after humans abandoned their trashed and thrashed home world in search of greener pastures in the heavens. WALL-E (Waste Allocation Load Lifter-Earth), the eternally curious, binocular-eyed robot, has been assigned the unenviable task of cleaning up the desolated surface of our planet all by himself. WALL-E’s existence is fairly routine—gathering trash, compacting refuse into waste cubes and constructing veritable mountains out of the cubes—until a mysterious ship literally lands on top of him. The alien vessel dispatches a probe and quickly shoots back into space. WALL-E is immediately stricken by the alabaster, egg-shaped probe, whom he soon learns is named EVE (WALL-E pronounces her name “Eva”). EVE barely acknowledges WALL-E’s existence until, in a desperate act to impress the mission-minded probe, WALL-E presents EVE with a gift—the solitary shoot of a plant potted inside an old boot. EVE snatches the plant, stores it inside one of her compartments and immediately shuts down. Try as he might, WALL-E fails to snap EVE out of her self-imposed trance; EVE is completely lifeless, save for a green flower symbol flashing on her sleek surface. Once again, WALL-E is relegated to a life of loneliness. 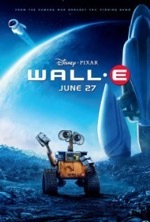 At the heart of the film is the improbable, unconventional, yet deeply moving romance between WALL-E and EVE. Built upon sacrifice and simple acts of kindness, their artificial relationship is more emotionally resonant than the majority of human love affairs that populate modern cinema. I never thought I’d tear up at an animated film, especially one centered on two lovebird robots, but at times I couldn’t help it. So great is Pixar’s mastery of narrative, and anthropomorphized characters, that it can seemingly control a spectator’s emotions at whim. Pixar artisans are truly digital alchemists. It almost goes without saying that the movie’s animation is stellar, but Pixar has taken CGI to new heights in WALL-E, especially during the beautifully choreographed fire extinguisher in space sequence. Pseudo-documentary quick zooms infuse the prologue with some energy and the Chaplin-esque physical humor, along with Ben Burtt’s inspired vocalizations, makes for some captivating and amusing vignettes, like when a confused WALL-E places a spork in-between his spoon and fork collections. From the movie’s lyrical opening to its unconventional resolution, WALL-E is an instant masterpiece and a triumph in feature length animation. 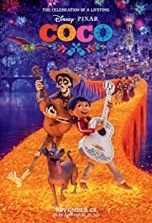 What started out as the most dubious Pixar film, judging from the film’s insular trailer, has turned out to be the studio’s most ambitious effort with the biggest payoff; the film is, hands down, the most profound animated movie ever made and very nearly qualifies as the Citizen Kane of its form. Though unabashedly bleak in spots, WALL-E is an affirmation and celebration of life in any form, even the most inconsequential. 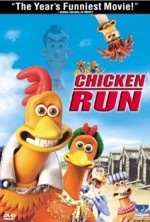 Hand over the Oscar for Best Animated Movie. WALL-E is out of this world! Somewhere along the way we stopped requiring movie stars to play characters and simply allowed them to play themselves. Here we have two comedy czars, Jim Carrey and Steve Carell, voicing characters that are so distinctly them; they’ve given typecasting a bad name. The detrimental drawback to this star-centric model is that it prevents the audience from discovering the characters on their own. 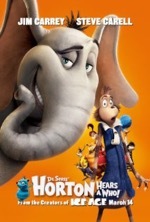 Here we have Horton the elephant (Carrey), who finds a speck containing a diminutive civilization of Whos, and the mayor (Carell) of that tiny village known as Whoville (not to be confused with the other Whoville in How the Grinch Stole Christmas). 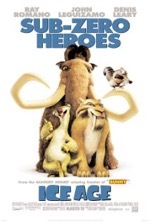 Despite the fact that we never see the actors’ faces, Dr. Seuss’ Horton Hears a Who! is nothing more than The Carrey and Carell Show—very little originality gets past their blockade of manic antics and slapstick silliness. The story is well-known from Seuss’ children’s book and the 1970 animated TV special narrated by Hans Conried. With its homily on the dangers of intolerance, personified by a rigid, rule-enforcing kangaroo (voiced with great effect by Carol Burnett), the story is more timely and relevant than ever. It’s also more politically charged than ever thanks to growing unrest and increasing polarization in our country. But should politics be mentioned in the same breath as an animated kids flick? 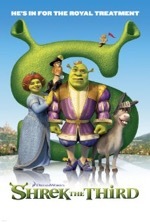 In the movie, the citizens of Whoville undergo radical climate shifts as Horton transports them to their new home; a secluded cave atop a nearby mountain. There, the Whos will be safe for all time…or at least until the bear returns for hibernation. There’s a thinly veiled reference to global warming (now known as “climate change” since the Earth is currently experiencing a cooling trend) in reverse when morning frost on the speck turns Whoville into an arctic waste. 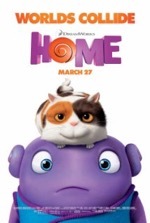 It’s profoundly unfortunate that this feel-good family film was ruined by insidious agendas from environmental alarmists and social nannyists. Granted, there’s a positive message in the movie’s most memorable mantra, “A person’s a person, no matter how small,” but it’s just so much stilted sermonizing made all the more unpalatable by force-fed moralizing and in-your-face patronizing. 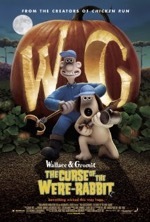 The CGI is startlingly photo-realistic and the overall aesthetic is vintage Seuss, but the movie’s creative elements are overshadowed by its heavy-handed plot in much the same way that the story is held hostage by its larger-than-life stars. In the end, this isn’t a terrible film, but it isn’t the royal treatment that Seuss’ timeless tale deserves. But kids will love it, and when all is said and done that’s all that really matters. 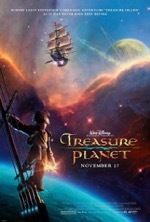 Treasure Planet follows Stevenson’s classic fairly closely, but I found the infusing of this pirate epic into a sci-fi universe to be a little hard to take. The movie does have some memorable characters and some thrilling action sequences, but in the end, my opinion resembles the sounds of those speaking Flatula. Lilo & Stitch is at its best when dealing with friendship and family and at its worst when it tries to be funny and when it tries parodying Men in Black. 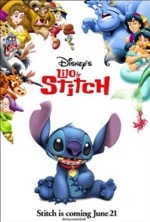 Lilo & Stitch isn’t Disney's finest, but it’s entertaining just the same. 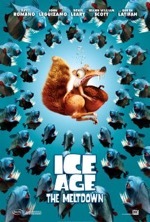 Once again proving that computer-generated tales are consistently the best movies out there (Final Fantasy excluded), Ice Age has mammoth-sized gags, a touching story and a theme of redemption that brings a tear to the eye. The subtitle, The Spirits Within, says it all. Gia (Mother Earth) and the eight living spirits? What kind of New Age schlock is this? 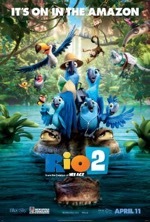 Maybe it's fitting that this flick marks an "evolutionary" leap in computer-generated movies. The science is appalling in this animated sci-fi flick, but the creativity is quite high—I especially liked the planet with hydrogen trees and the chase through the ice field. 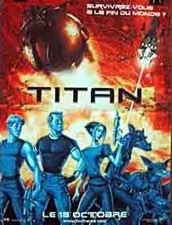 Ultimately, Titan A.E. 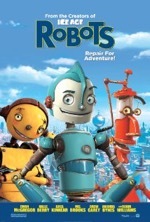 fails to entertain even with the aid of stellar voice talents like Matt Damon, Bill Pullman, Drew Barrymore and Nathan Lane.